Last month, I wrote about how checking the label can help me make the best decision for my kids. Though I am fond of reading the labels of products that I give for my family, I’m really no expert when it comes to it. 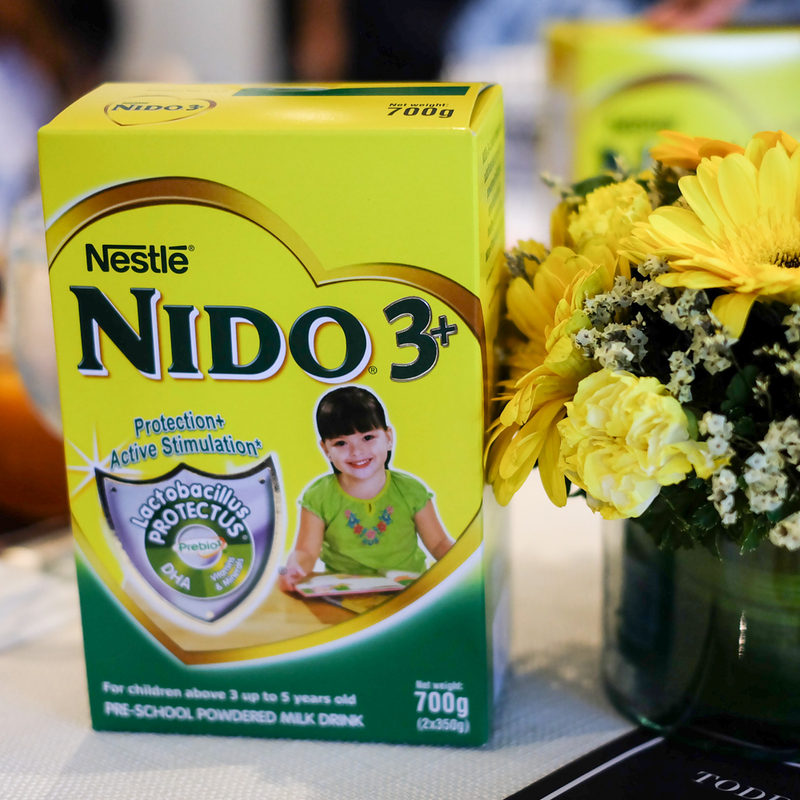 Thankfully, Nido launched #CheckTheLabel, an educational campaign to encourage moms like me to read and have a better understanding of food labels, so they can make smarter and healthier choices for their kids. An intimate event was held last month where I learned how to properly check the label. 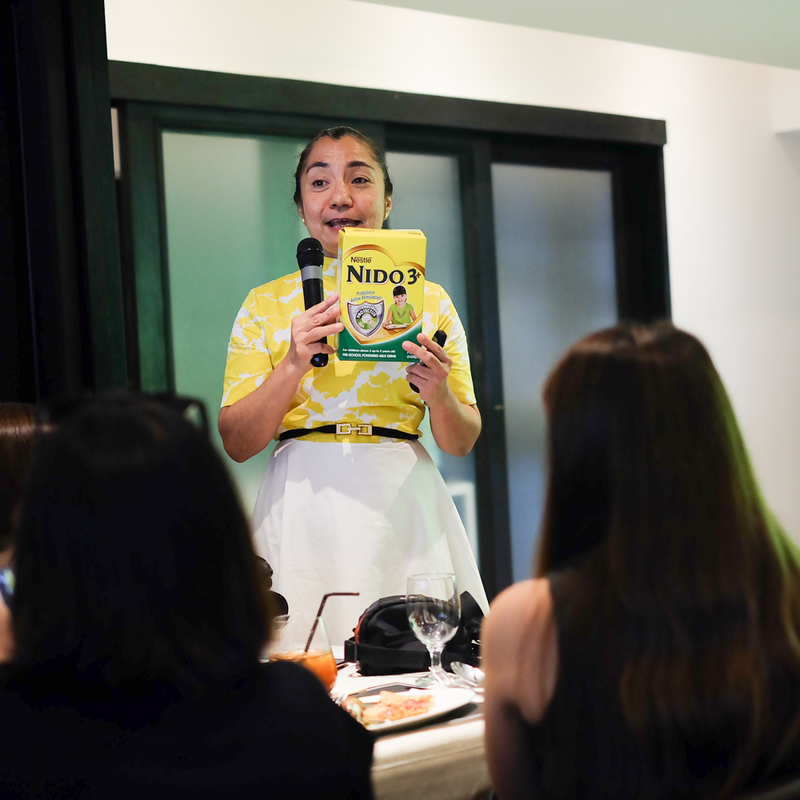 Ditas Sagarbarria, Nutrition Adviser for Nestlé Infant Nutrition, taught us how to properly read food labels and provided everyone with a better understanding of the significance of how the ingredients in each product are listed. According to Ditas, producing a product label takes enormous amount of time, energy and effort. It’s not just done overnight for they meticulously check each ingredient that makes up a product. Knowing this encouraged me even more to check the label. Checking the label is important for us to better understand what makes up a product. It can help us verify nutrition claims, compare brands, and choose which one offers the best value for money. If you want to get hard facts, read the label, for it is really the genuine source of correct information. As explained by Ditas, the ingredients are listed in the order of highest to lowest quantity. Meaning the first in the list is the one with the highest quantity. She showed us an example of how two seemingly similar milkshake ingredients differ when it comes to the quantity of its ingredients. One listed sugar on top of its list while the other listed whole milk. Though they have the exact same ingredients, the quantity greatly differs. Now I know better! It is important to go through each one to determine whether or not a particular food product meets the daily nutritional requirements of children, especially during their crucial growing-up years. 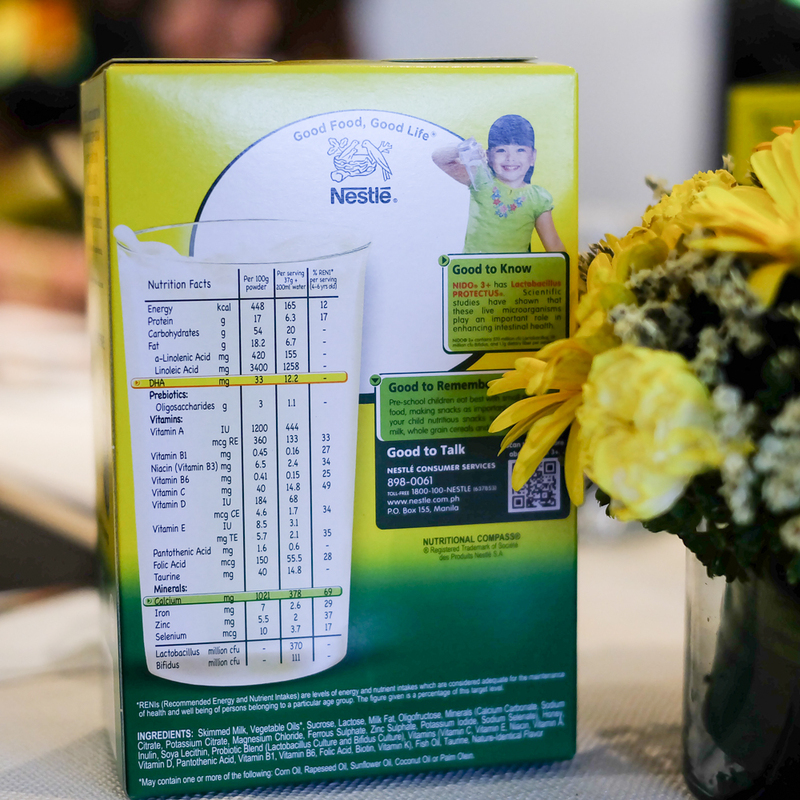 Knowing the nutritional content can determine if a child is eating a healthy, balanced diet. Ever thought about the difference between Best Before and Use By? Best Before is the date recommended for best quality or flavor. Nutritional claims may no longer apply after the date. Use By is the last date recommended for the use of the product, follow the date strictly. Watch out for health-sensitive ingredients such as sugar, salt, saturated fat, and sodium. When it comes to these, moderation is always key to better prevent the risk of obesity, diabetes, and other lifestyle-related diseases. World Health Organisation recommends daily salt, sugar and trans fat intake. We all know that not all brands are the same. Same goes for their special ingredients. Take NIDO® 3+ for example. It’s got DHA and is the only growing up milk brand available in the market with Lactobacillus Protectus,millions of live good bacteria that maintain the balance of good and bad bacteria in the gut, which in turn help strengthen the immune system. 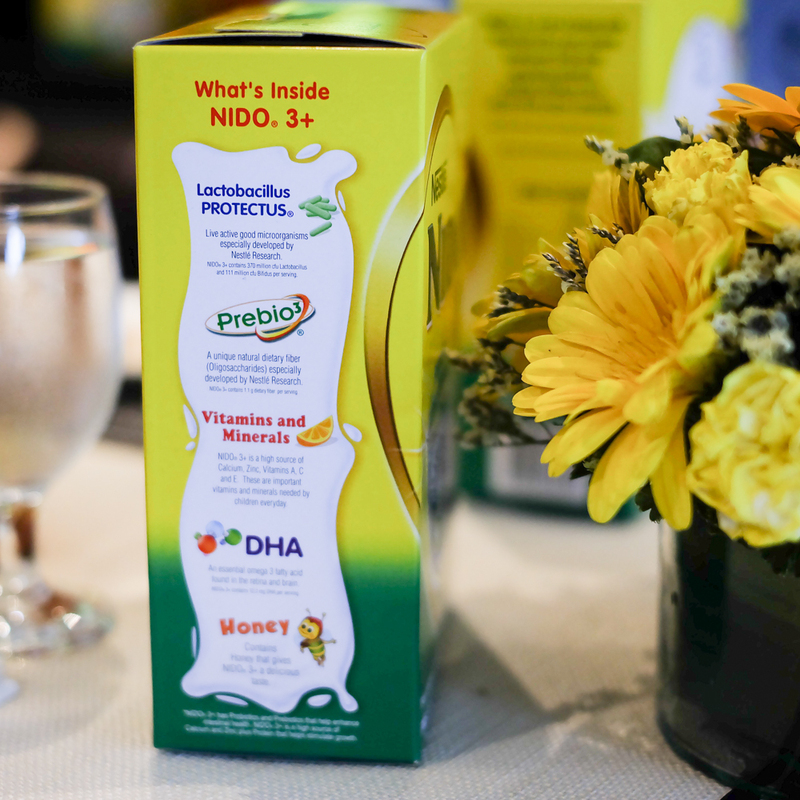 This unique probiotic can be found in every glass of NIDO® 3+ along with other essential nutrients such as: Prebio® 3, indigestible fibers that serve as food for good bacteria to grow and survive; DHA, ALA, LA and Taurine to support proper brain structure; and high levels of vitamins A, D, Calcium and Zinc to support overall growth and development. Knowing how to properly prepare your child’s milk is essential in giving him the necessary nutrients he needs. 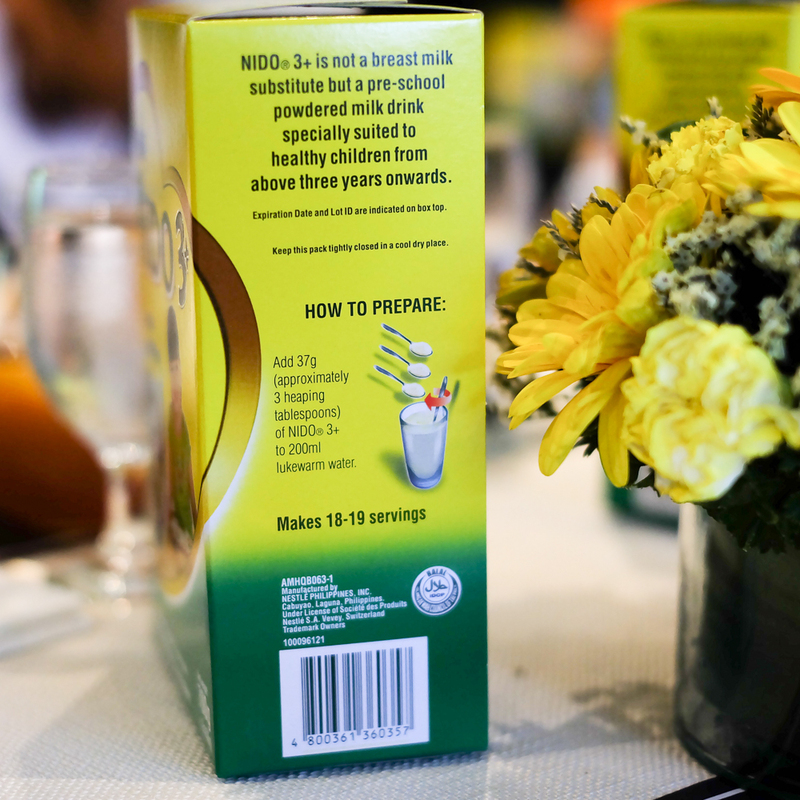 Thankfully, NIDO® 3+ conveniently has its ‘how to prepare’ printed on the side of the box for me to check whenever lil’ Mr. JG drinks from another cup whenever we’re on a vacation. 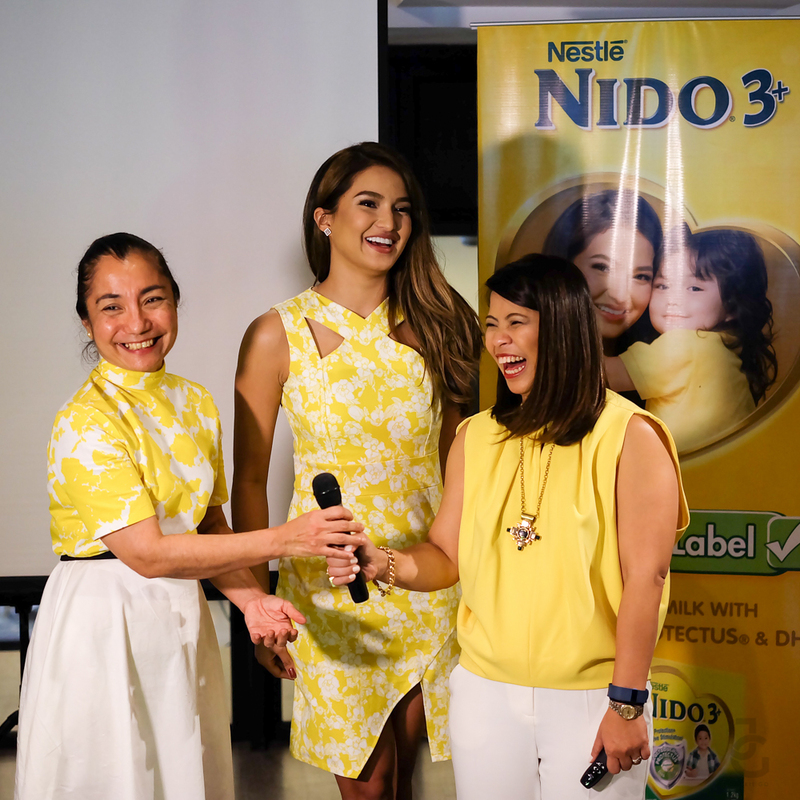 The newest endorser of NIDO® 3+, Sarah Lahbati with host and also mom herself, Delamar Arias. Sarah answered questions regarding the struggles she faced as a first-time mom and how checking the label of her options helped her make smarter and healthier choices for Zion. During the event, Sarah shared the same challenges she faced when it was time for her to choose a growing-up milk for her son, Zion when he turned three. 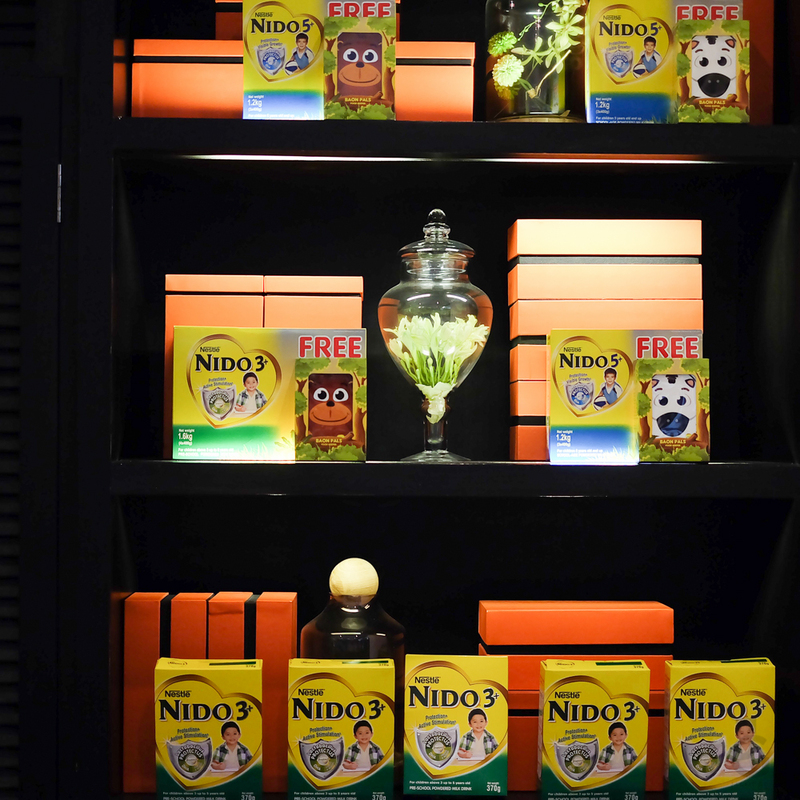 And by precisely checking the label, Sarah Lahbati is assured that she made the right choice with NIDO® 3+. I can totally relate with Sarah.